After a beautiful morning shooting fog rolling over the valleys from Forked Mountain, Matthew Kennedy and I hiked to Forked Mountain Falls. The falls themselves were fairly lackluster, and since the morning light had passed, we were in direct sunlight. However, on the trail to the falls we saw many different sights that were worth a second look. 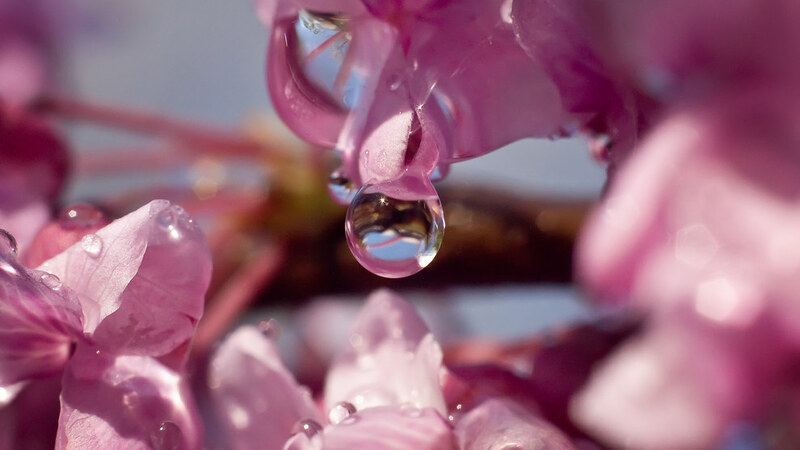 This redbud had a beautiful morning dew hanging from all of it’s blooms and this particular water droplet caught my eye. These are the shots I used to always look for, before I really got into landscape photography. Sometimes it’s nice to slow down and see the finer details, and sometimes you get a great photograph to show for your patience.